Attend is a powerful event creation and management tool which allows for multiple levels of branch-specific mediation for publication. Registered events, series events, and private events are easily created and managed via the Communico control panel. A library-branded page showcases your library’s featured and promoted events, together with easily navigable sections for your event categories. Patrons can generate a bespoke, printable pdf version of the calendar to download or email. 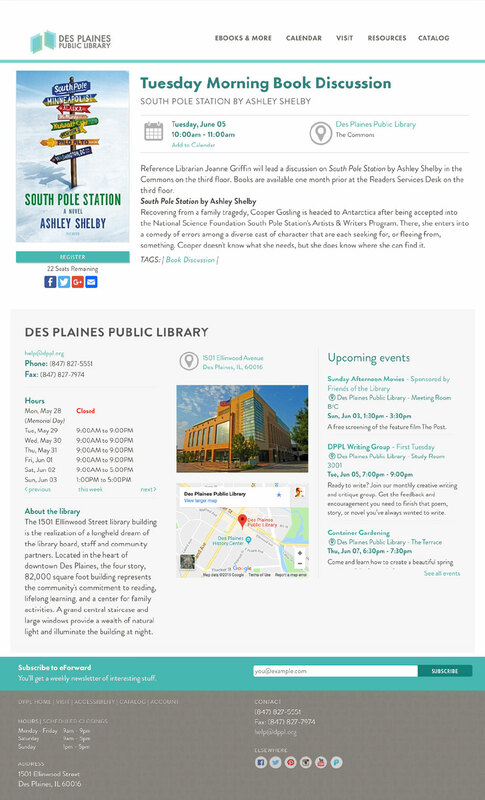 A custom page is generated for every event with library branch details, upcoming branch events, social media sharing and add to calendar options. Patrons can register for events and add others to their registration too. The main listing page provides options for keyword search, with filters by branch, age, and event type. Use an easy calendar picker, with day, week, and month views. 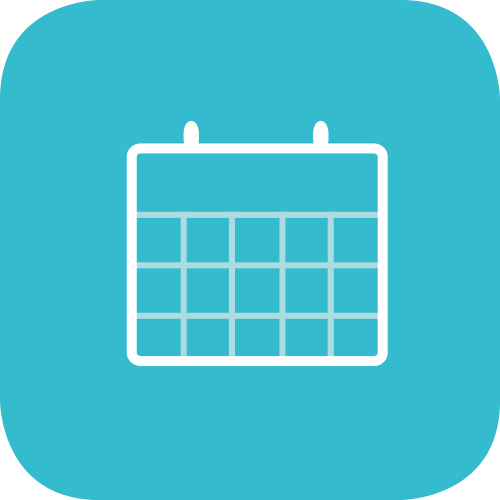 Color-coded either by age group or event type, the branded monthly grid view creates an easily digestible calendar view with a full day’s events viewable in each day block. Provide self-service by allowing patrons to view and cancel their registrations, as well as manage their guests, using an authenticated library card or a unique registration number. Events can be set so patrons must register to attend. The number of attendees can be capped. The library may determine how many levels of mediation an event must pass through prior to publication, with Creators, Approvers, and Publishers. After publishing, events can be canceled, rescheduled, and unpublished. Top level settings can be applied to restrict or enable particular Attend features.